1001bit tools is a plugin that for us is a must. It works as a collection of tools designed for creating of several architectural elements. From roofs to railings, windows, staircases, roof design. Also it has some tools for drawing/editing geometry such as fillet, extend and chamfer that native Sketchup lacks. After installing the plugin, when you open Sketchup it may take a bit of time to load. That is mostly because it checks the licence status before loading. Some of the most basic tools of 1001bit are the ones regarding to distance, such as Information Between 2 Points, Point on Face, Center Point of Arc and Circles. Perhaps one of the most efficient ones, mostly for creating complex objects, is the Divide Tool; where you can divide the selected edge. Also 1001bit has a better layer management system than the native Sketchup. 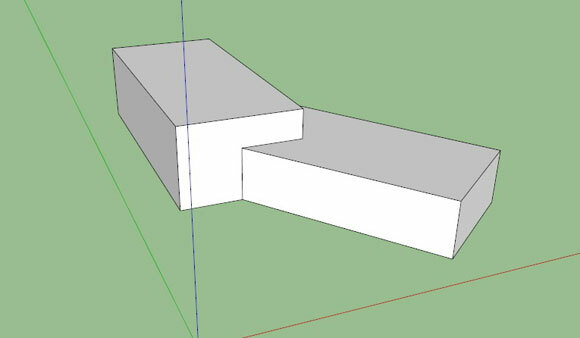 You will realize that it is easier to switch elements between layers via 1001bit than the Sketchup workflow for doing so. One useful tool for organic shapes is Best Fit Face, where after creating non-coplanar points you can then pick the series of points for double clicking to create a face containing those points as part of the edges of that face. Array tools have several settings that you can apply, being Polar Array, in my opinion, the most useful one, as you can create a spiral staircase with very few parameters. Wall tools are a simple-step solution than the Sketchup way of building walls. 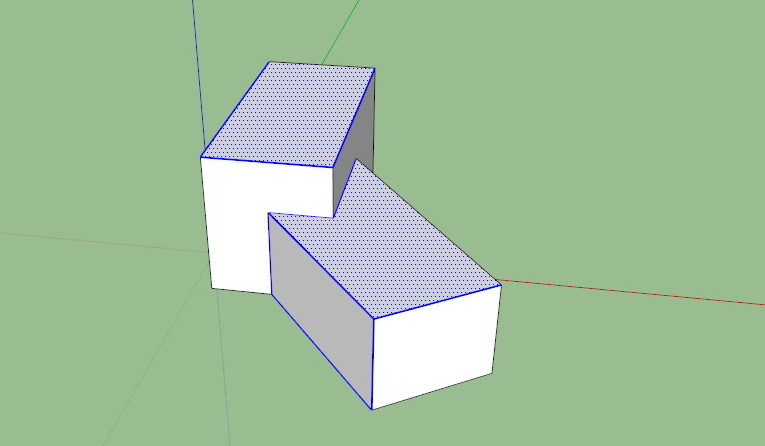 Instead of drawing and extruding planes, you can choose a type of wall, adjust parameters and done! Also it is really helpful for applying details to your walls, such as baseboards. For Wall Openings and Columns the parameters are pretty much the same. A dialog box where you select the type and apply parameters, then create. As I mentioned before regarding Structural Models, one of the tools is for creating Foundations. From pad footing to strip footing, quick and helpful. Stair tool works for creating stairs, with 12 different kinds of stairs, while Escalator is for creating mechanical stairs. Windows and Door Frame are created via the tools with the very same name, where you previously have to create a face at the opening to apply the command to it. Perforated Screen is useful for creating “skin” to your facades, mostly if it is an important part of your project. Other important tools are such as Louvres, Joist and the Roofing tools, even though for the last ones I prefer the Vali-Plugins that I will explain next on. Instant Roof is part of the Vali Plugins that are extremely useful for creating a wide variety of architectural elements. 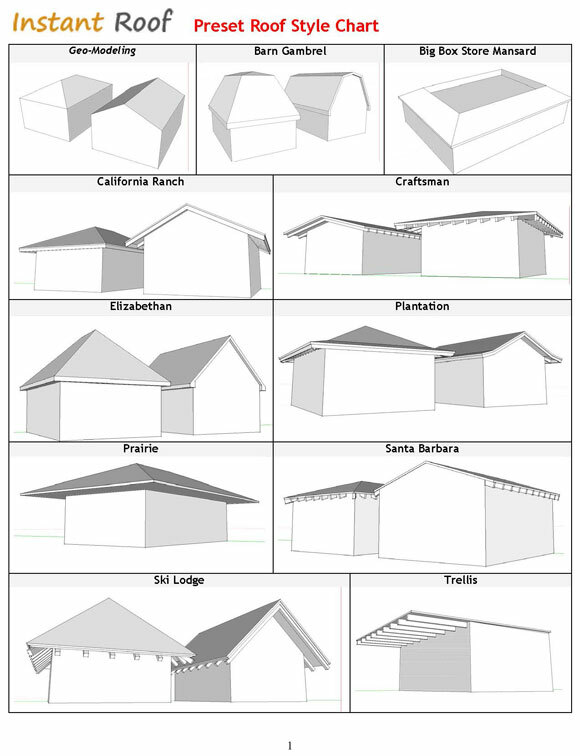 In this case, this plugin is focused on making roofs from selected faces and edges. The possibilities are infinite, as they depend both on which kind of roof you want to make and also how is the geometry that you created for hosting that roof. 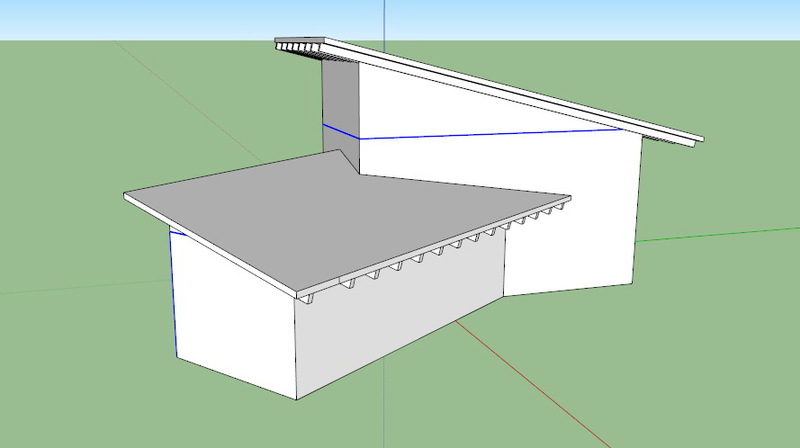 The way you create the geometry is up to you, but keep in mind that if you don’t want to be changing parameters and use the default method, the geometry group must be a bit large in scale for the roof to adapt. As you can see, I didn’t selected one of the edges; that is because of the direction of the slope. The non-selected edge defines the direction of the slope. 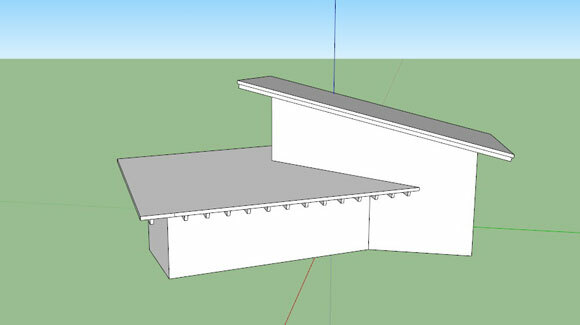 Select roof type and adjust parameters if you like. Then hit OK.
As you can see, the workflow is pretty simple. 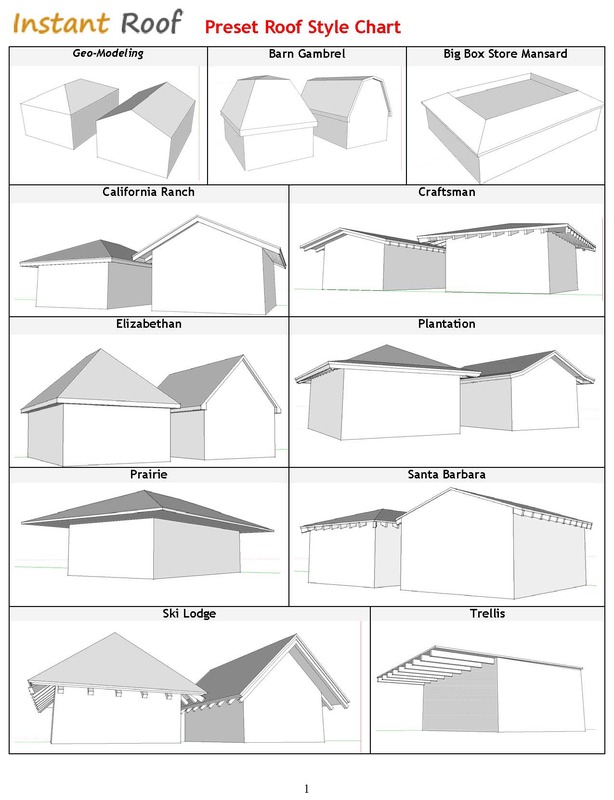 From the creators of the Plugin we can check at this chart that shows us the different kinds of roofs we can create. Another plugin part of the Vali Plugins for creating roads, pathways and waterways on terrains. The necessary geometry for creating this elements are simple: lines, curves, faces. We can create a road from a center line, as well as road from faces, or even make islands inside the created roads. 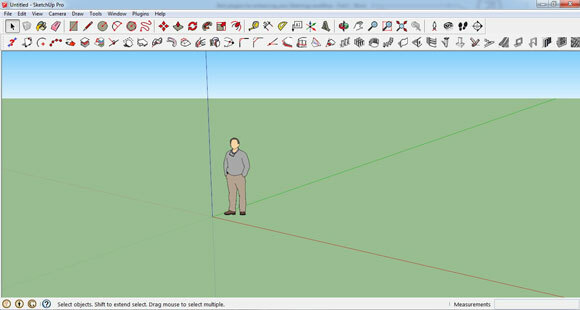 First you need to create a Terrain mesh using the Sandbox tools of Sketchup. Then draw connected lines or curves within our terrain. Group the lines and select both the group and the terrain. Then we apply the parameters needed for our road, such as its Width, if it is curved or if we want to add additional parameters. After it is created, double click the road group to open it for editing. Apply the changes you want. Close the group and select it as well as the terrain. Artisan is a plugin that we use for creating organic shapes. Its workflow somehow reminds me of 3ds Max as we work with subdivision and extrusions. This way, you then “sculpt” your 3d model with a much friendly way than Sketchup native to achieve such results. It is mostly useful for creating complex architectural buildings, as well as for furniture modelling given the fact it creates perfect rounded edges and faces (which Sketchup can’t manage while subdividing elements). I highly recommend you to learn how to use Artisan via video tutorials, as in written tutorials it can be complicated to understand the sculpting workflow.